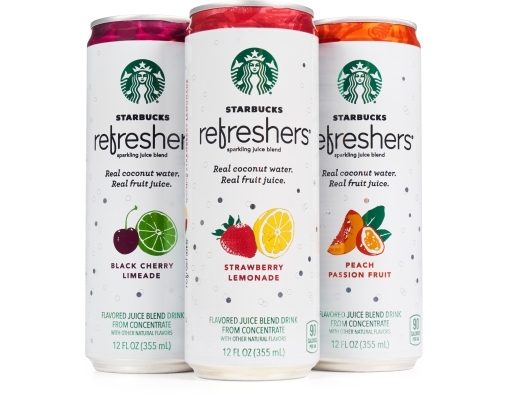 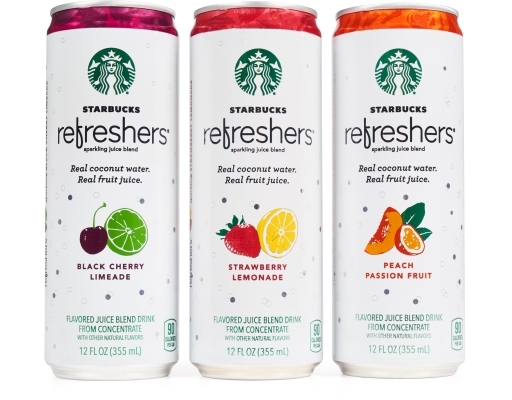 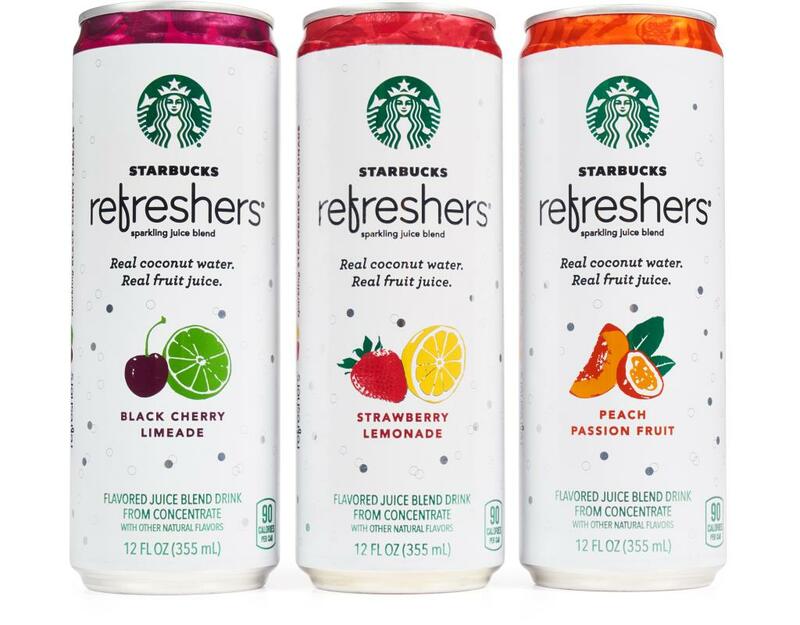 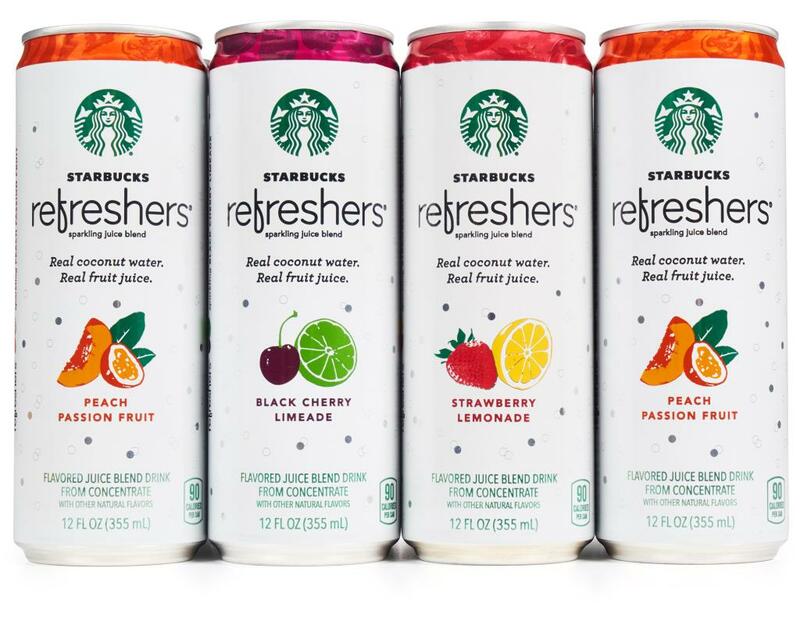 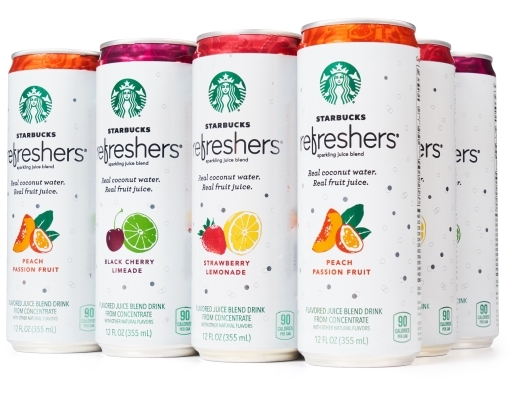 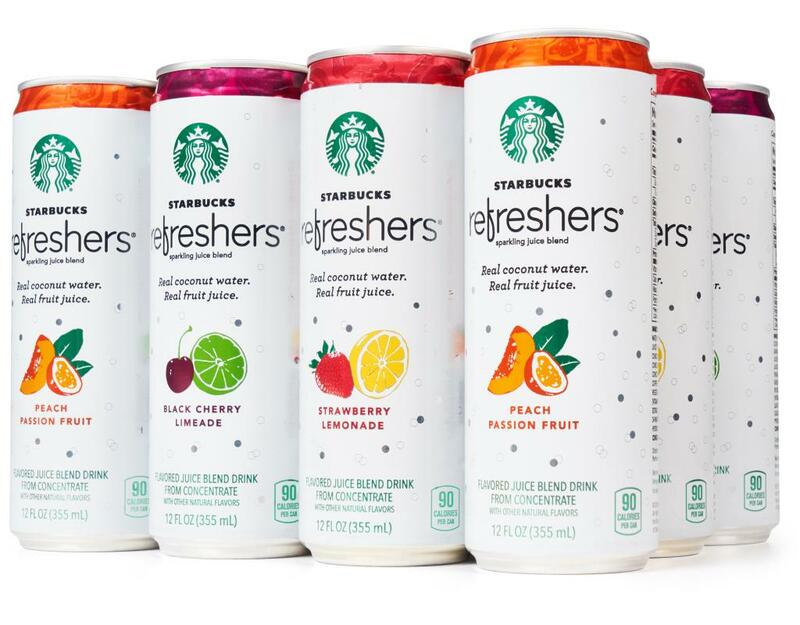 Starbucks Refreshers beverages are made with real fruit juice and are lightly caffeinated with Green Coffee Extract. 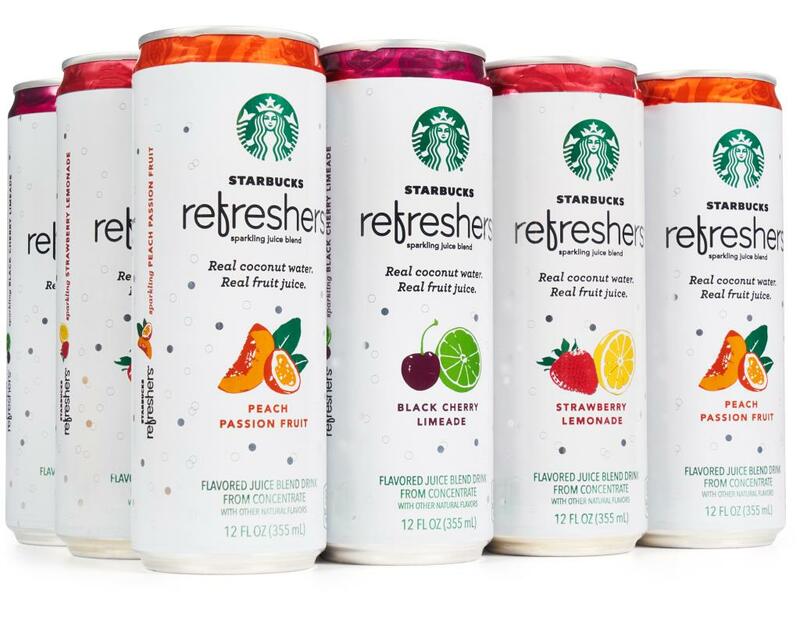 The perfect afternoon pick-me-up. 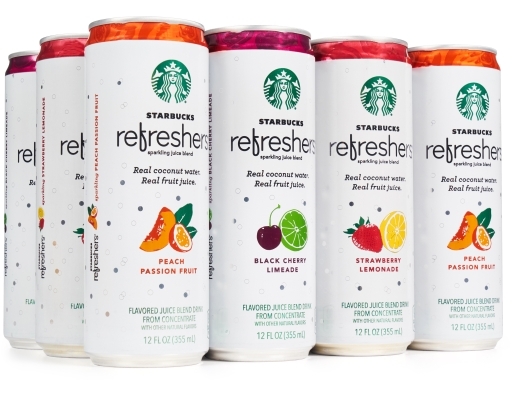 What is Green Coffee Extract? 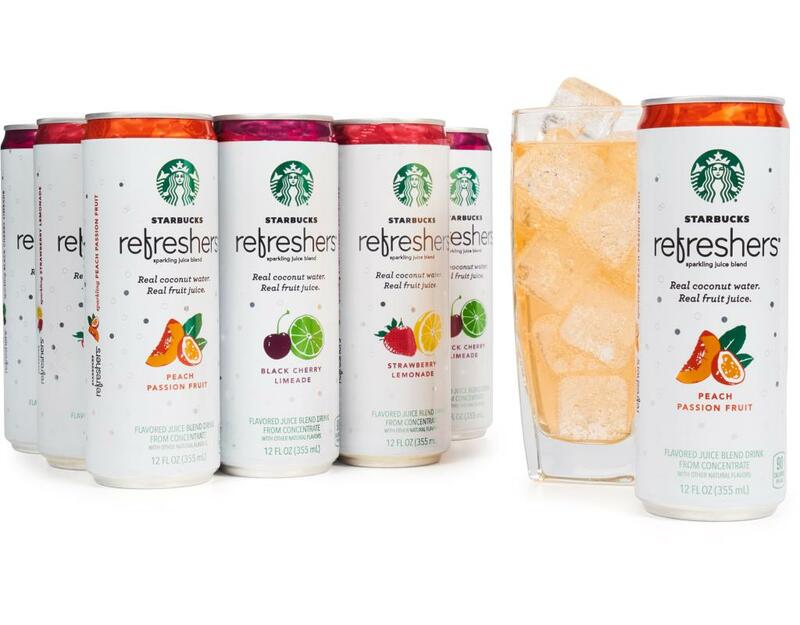 Well, all coffee starts as a green bean. Traditionally, after coffee is harvested, those beans are roasted to bring out the dark colors and bold flavors coffee is famous for. 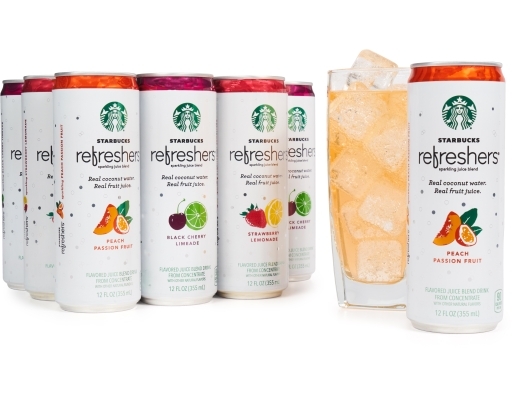 Now Starbucks uses an innovative process to pull the naturally occurring caffeine from coffee beans before they’re roasted. 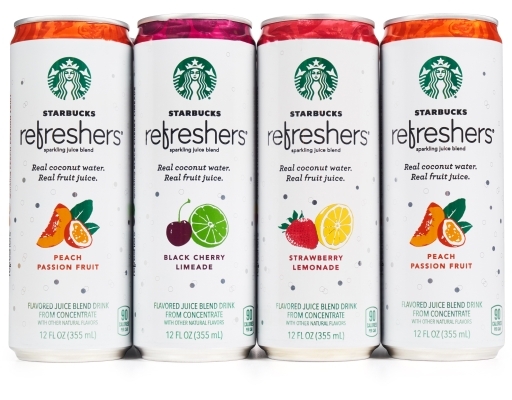 That’s Green Coffee Extract: the caffeine from coffee, with none of the roasty coffee flavor. 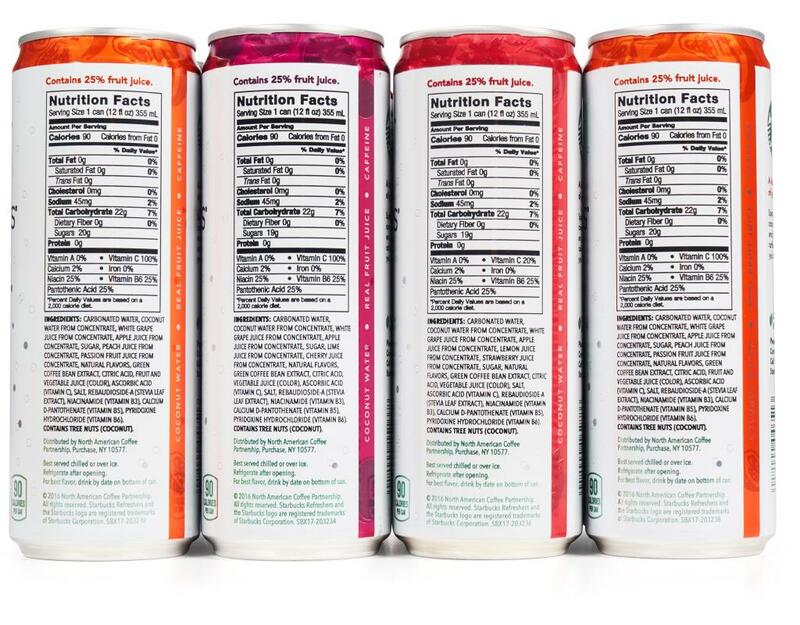 splash of coconut water for a delicous pick-me-up. 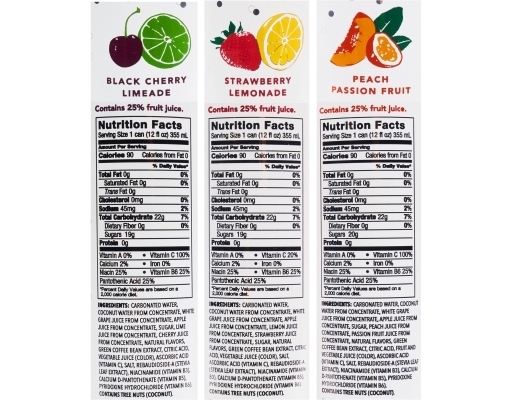 Black Cherry Limeade: This feel-good blend of sparkling coconut water and other fruit juices, vitamins and ginseng has just the right amount of nature’s caffeine (green coffee extract) to lift your energy—and your spirits. 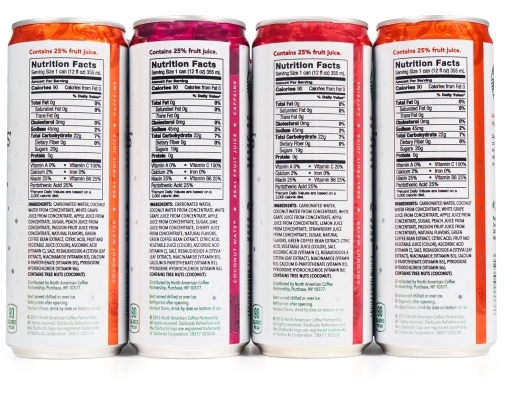 Strawberry Lemonade: Sparkling, real fruit juices meet cool coconut water and just the right amount of caffeine. 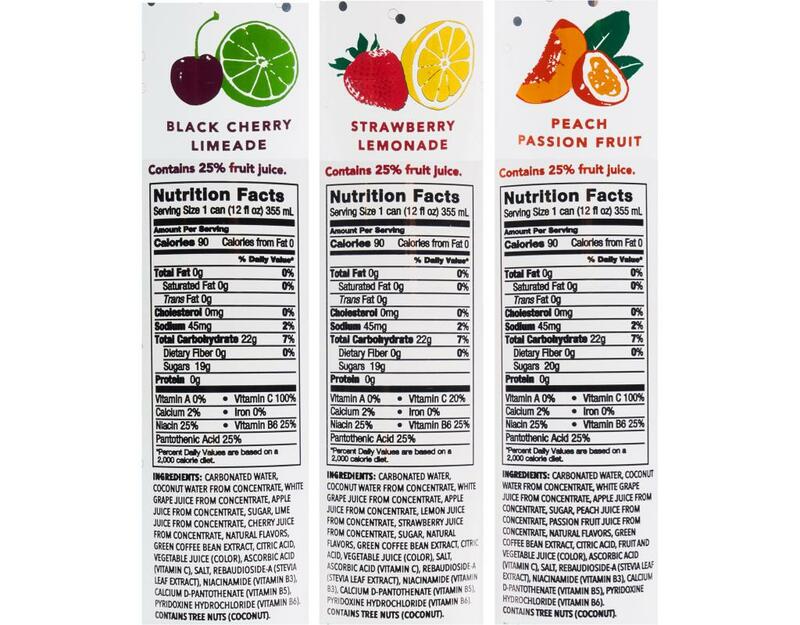 Sweet strawberry and tangy lemon juices bubble together for a taste that quenches while it uplifts.